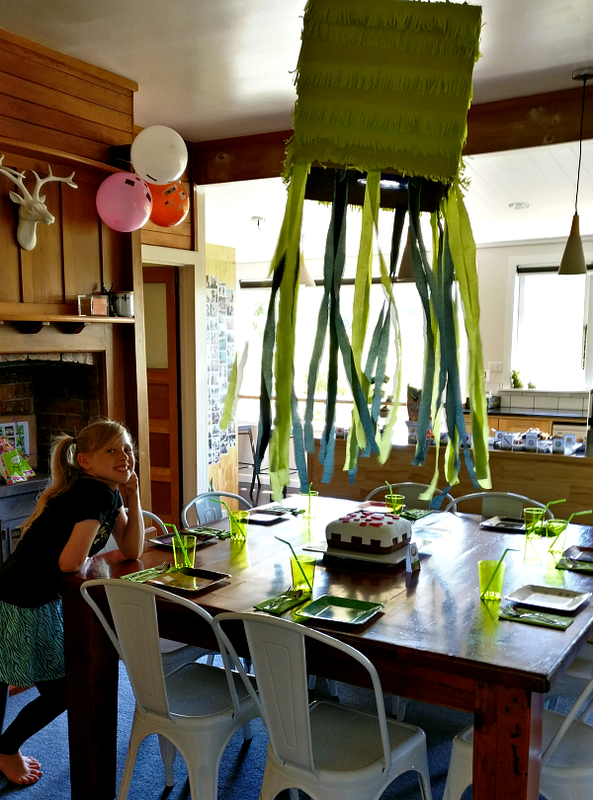 Our baby turns 10 today - which mean no more kids in single digits!! 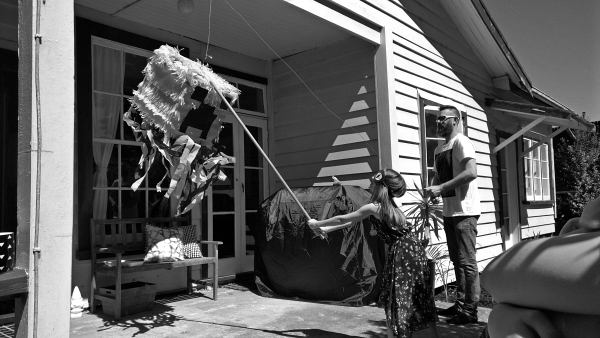 Time has definitely flown by. 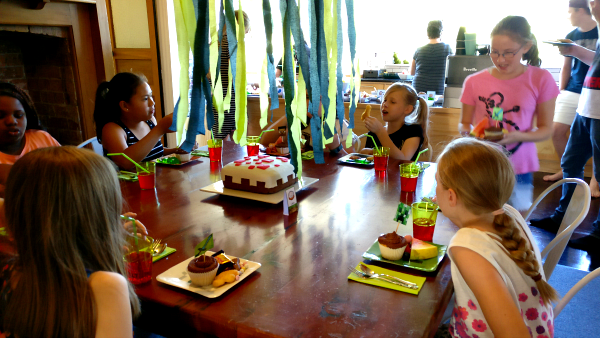 Our girl desperately wanted a birthday this year, and since her and her friends are obsessed with Minecraft, it seemed the perfect theme for a party! 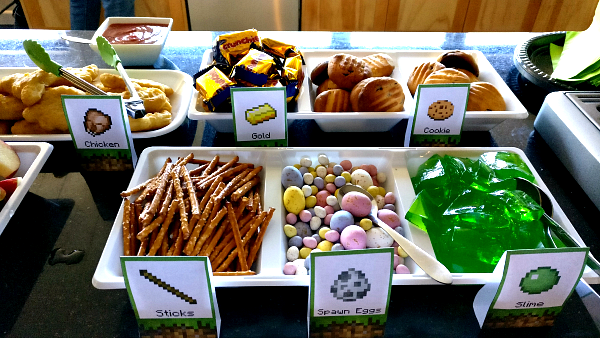 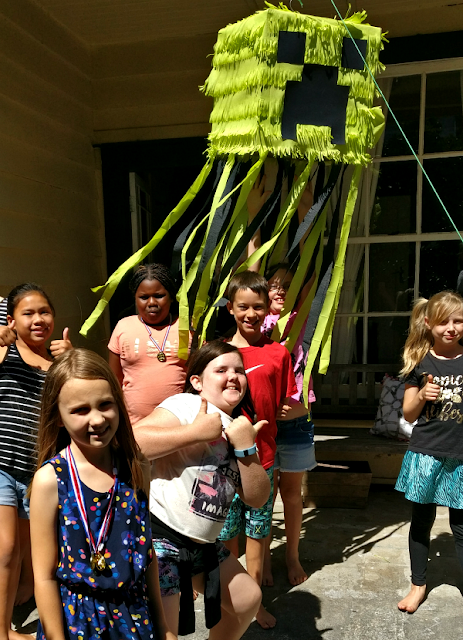 There are some great ideas and free printables online for throwing your own Minecraft Party. 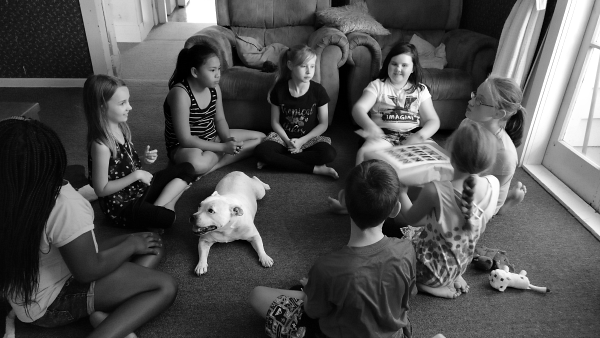 My daughter invited 7 friends over for the afternoon. 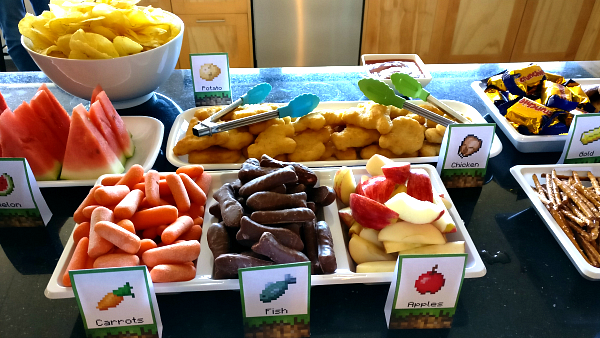 The fun thing with Minecraft is the food and items that you use to create things in your worlds. 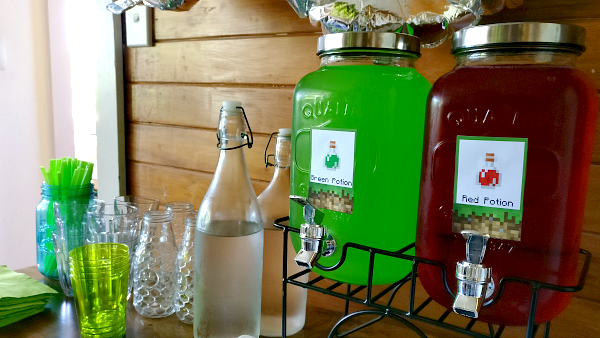 We were able to use these ideas to base our food on. 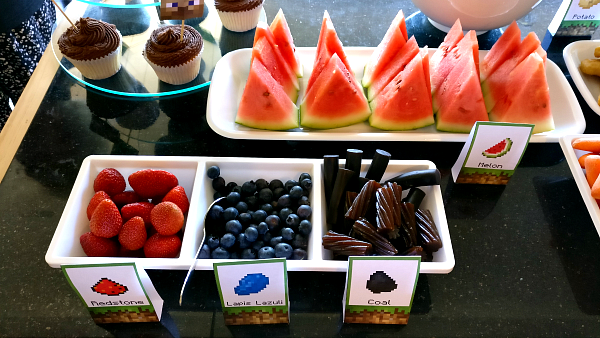 For example, 'potato' was our potato chips and for 'coal' we used licorice and for 'sticks' we used pretzel sticks! 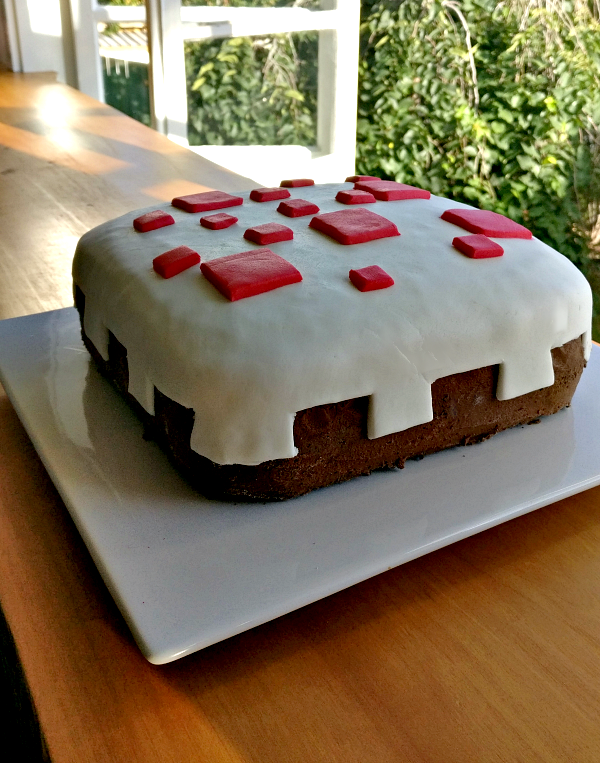 Minecraft also has it's own unique cake in the game, so we made a replica of it as her birthday cake! 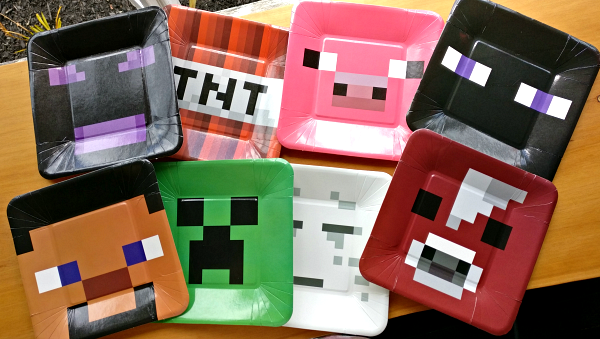 I found these great Minecraft plates online here. 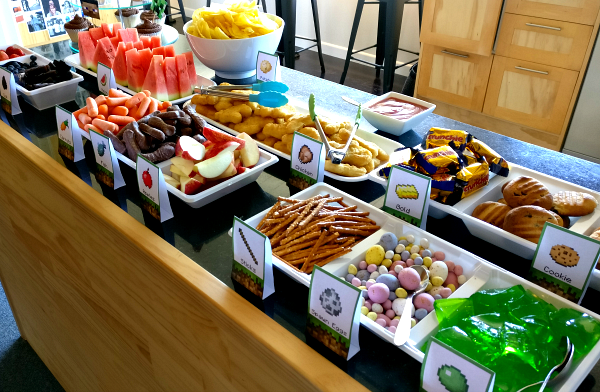 Perfect for the party! 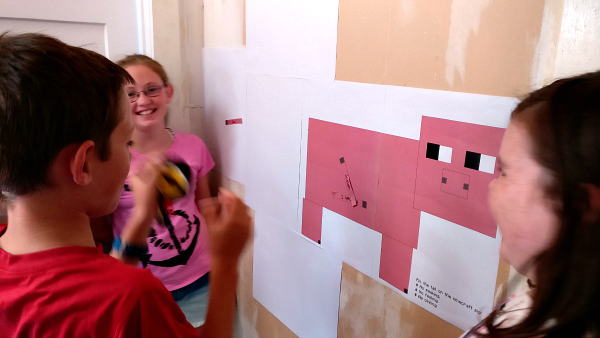 For games we decided to play Minecraft Bingo (free printable here), Pin the tail on the Minecraft Pig, Pass the Parcel and Symon made an amazing Creeper Pinata which we hung as a decoration until it was time to attack it! 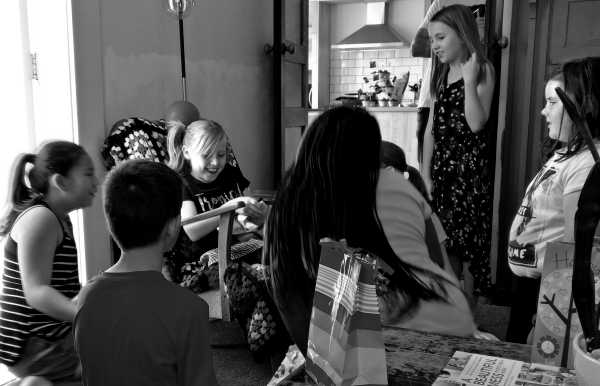 Pass the parcel was fun - Boo loved it too! 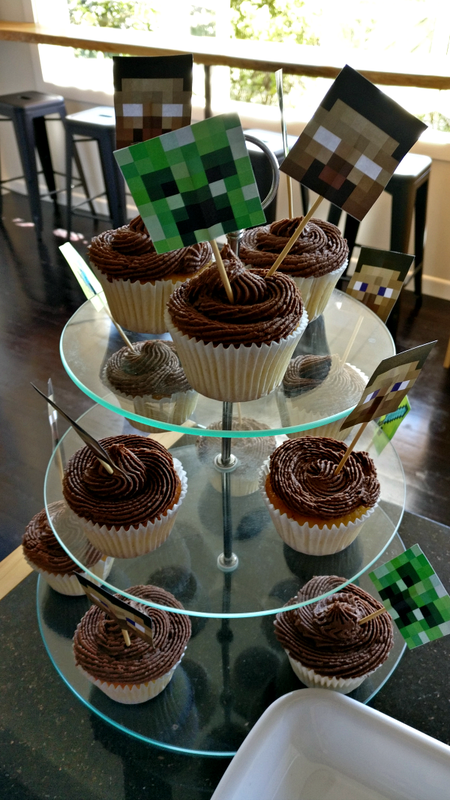 It was a wonderful party spent with beautiful friends. 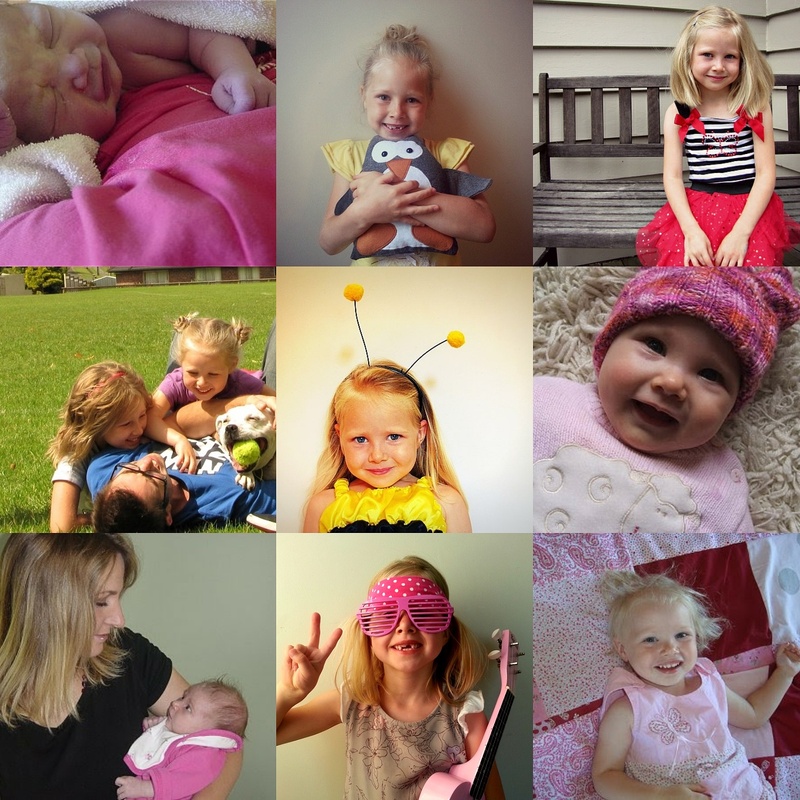 Happy 10th birthday to our sweet girl, the cherry on the top and our bright ray of sunshine!